All veterans except those with dishonorable discharges may be buried in a national cemetery regardless of whether they served in war or peace. Also eligible are members of reserve forces who died on active duty, surviving spouses who do not remarry and unmarried dependent children. 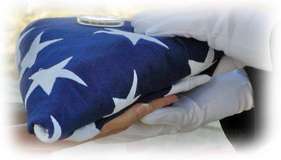 The VA prepares the gravesite, carries out the burial, finishes a headstone or marker, a flag and provides perpetual care. Most VA national cemeteries accommodate cremation inurment in addition to traditional casket burial. The department does not provide funeral arrangements, transportation, or military Honor's which are arranged through your local VFMC Certified Provider. The government does an excellent job providing veterans with burial benefits if you use a national cemetery, however there are very limited benefits for the funeral or cremation service. 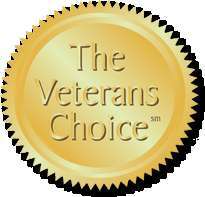 In addition to the free burial benefits by the VA, all Certified VFMC Providers give a 10% Discount off pre-arrangement services and merchandise for veterans, their spouses and dependent children along Whit a free glass and wood Flag Case to the surviving spouse of a deceased veteran. VFMC Certified Providers are selected for having deep roots in their community and upholding the highest standards of business, ethics, and integrity. The highest level of ethical standards, integrity and quality of care. Presentation of a General Price List. Prompt and courteous response to inquiries and questions. Presentation of all final arrangement options including memorialization services & merchandise. A comprehensive explanation of prices. Pre-need Discount on services and related merchandise. A 100% service satisfaction guarantee. The signed certification that all Exclusive VFMC Providers are committed to upholding the highest level of ethical standards and integrity while providing affordable, caring professional service exceeding member expectation. Why choose a family-owned funeral home? Family-owned funeral homes are locally owned and operated, independent funeral homes. Many families have been in funeral service for generations. They have a personal relationship with the community and are actively involved in the communities they serve. They strive to offer the highest quality of service and merchandise to their families. They are sensitive to the needs of the community in which they live and serve. With family-owned funeral homes, everything they do reflects their on-going commitment to provide affordable, quality services to the community. Customer trust is built slowly over time. Family-owned funeral homes are usually staffed by family members, members of the community, and graduates from college. Conglomerates (corporations) buy funeral homes from all over the country. When purchased by a conglomerate, some families continue to run and maintain the funeral home. From outward appearances, you cannot tell whether a funeral home is family or corporate owned. All exclusive, certified VFMC Providers are family owned and operated affording each family peace of mind in knowing that their loved one is being cared for with respect and dignity.